Beyond set-aside procurements, the government bolsters small businesses by encouraging their participation in federally-funded research. Two key programs exist: the Small Business Innovation Research (SBIR) Program and the Small Business Technology Transfer (STTR) Program. Ultimately, the government hopes that participating small businesses will commercialize technologies developed with federal research dollars. While the two programs are similar, a key feature distinguishes them: the STTR Program requires a small business to partner with a qualified research institution. SBA has issued regulations and directives that govern these two programs. Here are five things you should know about the SBIR/STTR Programs. 1. What size standard applies to the SBIR/STTR Programs? In stark contrast to SBA’s varying size standards in the procurement sphere, only one size standard governs the SBIR/STTR Programs: 500 employees. In other words, an SBIR or STTR awardee, together with its affiliates, must not have more than 500 employees. And a small business’s size is determined at the time of the award for both Phase I and Phase II awards (the programs consist of three phases). 2. Who can own and control a small business participating in the SBIR/STTR Programs? 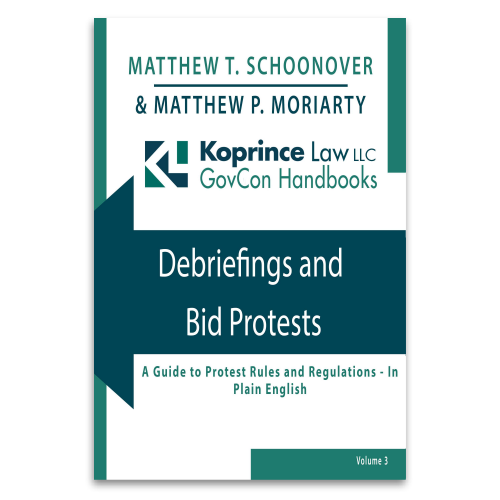 A joint venture in which each entity must be one of the entities listed in the first two bullet points. These rules also apply to the STTR Program, with the exception of the middle bullet point. That is, a STTR Program awardee cannot be more than 50% owned by multiple venture capital operating companies, hedge funds, or private equity firms. 3. Is a joint venture considered small as long as all venturers fall under the 500-employee size standard? Only if the venturers’ combined employee count is less than 500 employees. Under SBA’s regulations, joint venturers are affiliates and, therefore, their employee counts are added together to determine size. Additionally, each member of an eligible joint venture must meet the appropriate ownership rule. But wait! 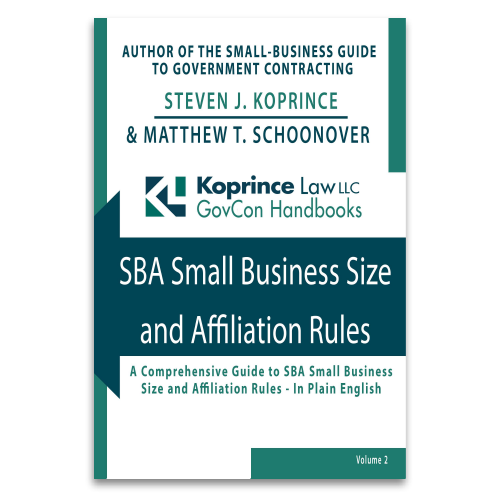 Don’t SBA’s regulations include an exception allowing a joint venture to qualify as small if each venturer is small under the relevant size standard? Yes, but that exception does not apply to the SBIR and STTR Programs. The only escape from affiliation under these programs–as it relates to joint venturing–is an approved joint venture between firms in an SBA-approved mentor-protégé relationship under SBA’s 8(a) Program. Note that the current SBIR/STTR regulation does not provide an affiliation exemption for participants in the SBA’s All Small mentor-protege program. It’s unclear whether this distinction is intentional or a regulatory oversight. With SBA discussing merging the 8(a) and All Small mentor-protégé programs, this may eventually change. 4. Are there any workshare requirements applicable to the SBIR/STTR Programs? For the SBIR Program, the awardee must perform a minimum of two-thirds of the research or analytical effort for in Phase I. Then, in Phase II, an awardee must perform at least one-half of the research or analytical efforts. Under the STTR Program, the awardee’s required share is less. But remember that a qualified research institution is also a player in the STTR Program and must take a slice of the work. So for both Phase I and Phase II, an STTR awardee must perform a minimum of 40 percent of the research and development work. The partnering research institution must also perform a relatively large share of the work–i.e., at least 30 percent of the research and development work during both Phase I and Phase II. 5. Who must direct the work under the SBIR/STTR Programs? The SBIR awardee must employ the principal investigator–i.e., the individual who provides the scientific and technical direction to the project–at the time of award and for the project’s duration. Thus, an SBIR awardee cannot rely on, say, a larger, more sophisticated subcontractor to lead and oversee the work. The paradigm differs in the STTR Program given the awardee’s close collaboration with a research institution. There, the principal investigator can be employed by either the STTR awardee or the research institution. These programs are unique and offer prime benefits for awardees. So, if you’re considering applying to the SBIR Program and/or STTR Program, and have compliance questions, give us a call. This entry was posted in Five Things and tagged SBIR, Small Business Innovation Research, Small Business Technology Transfer, STTR. Bookmark the permalink.